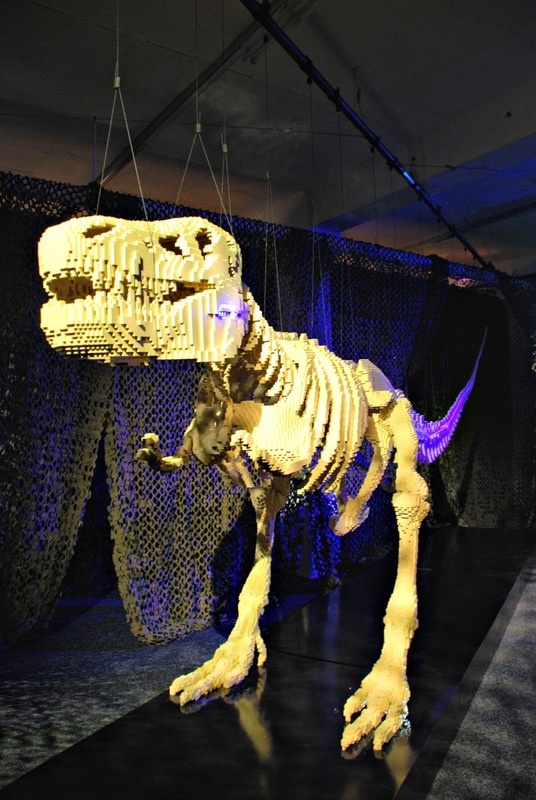 Calling all Lego fans: I’ve found just the exhibition for you. 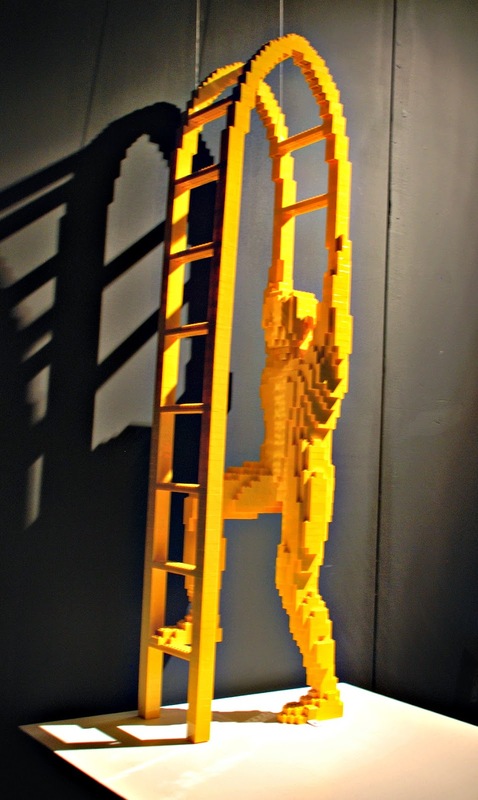 It's the Art of the Brick, which is running at the Old Truman Brewery just off Brick Lane until 4th January. Mr B and I headed off to check it out on Sunday afternoon with Emi. 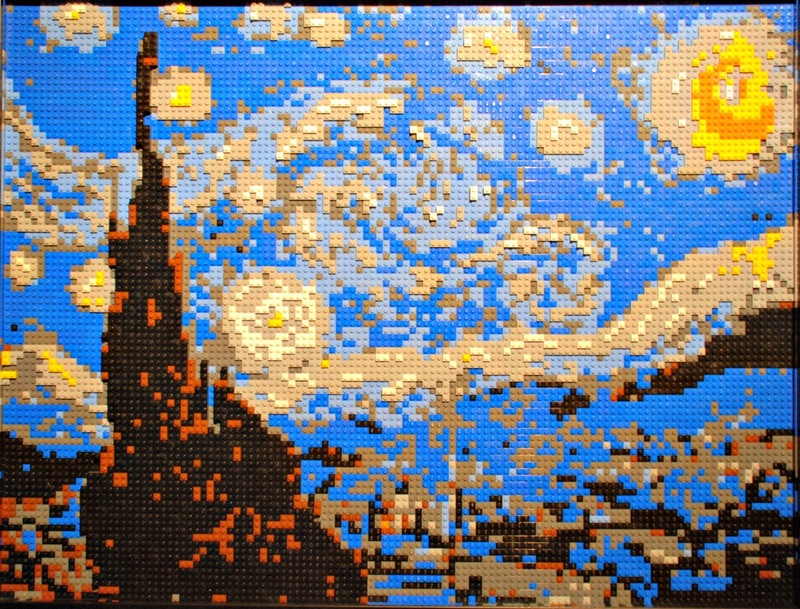 Emi (age 8) is a huge Lego fan, and he was really excited by the idea of a Lego art display. The first thing that I must say is that the exhibition is really good fun. It doesn't take itself too seriously, and I found myself smiling at the playful ingenuity of what had been built. 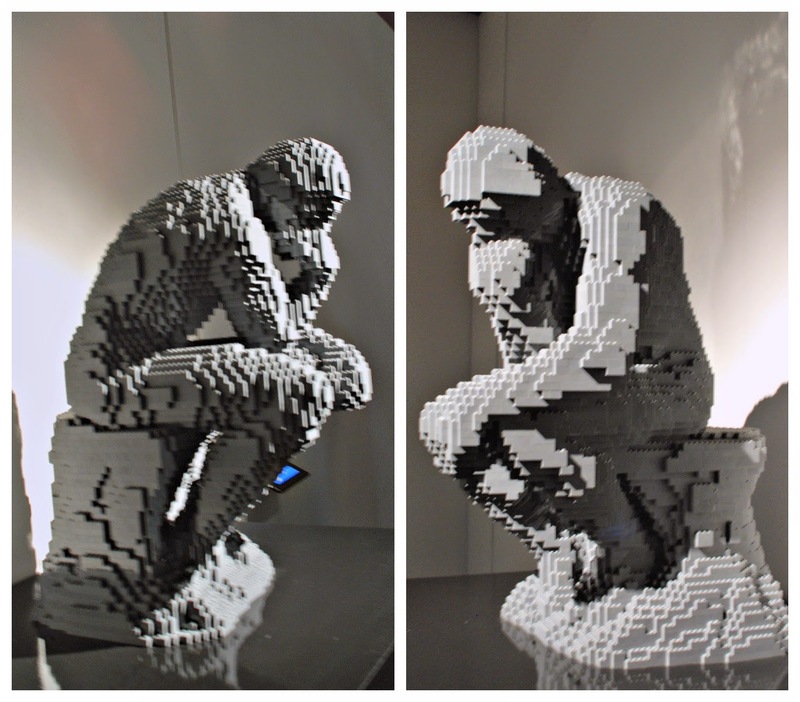 You're welcomed into a classical gallery with a collection that includes Rodin's Thinker and Michaelangelo's David, all faithfully rendered in little plastic bricks. 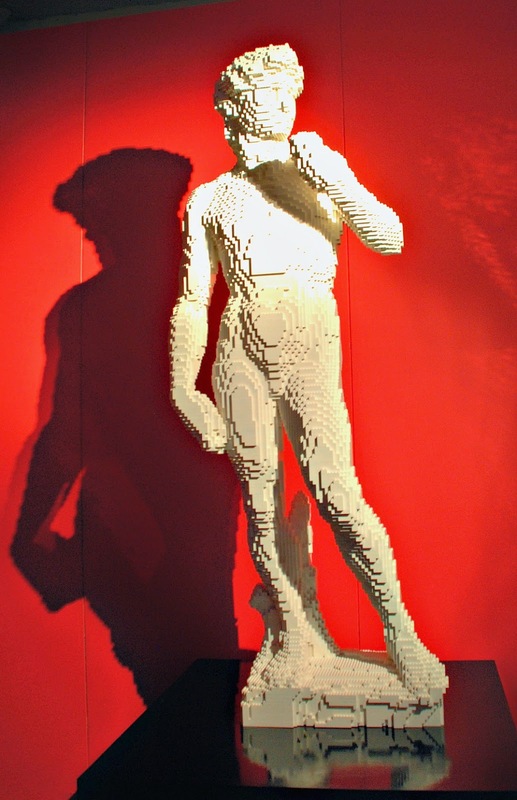 In the case of David it took a total of 16,349 bricks to put him together. The detail achieved with the clean straight lines of the bricks is impressive, and they are beautifully displayed with bold backdrops and perfect lighting. There are about 80 works on display. 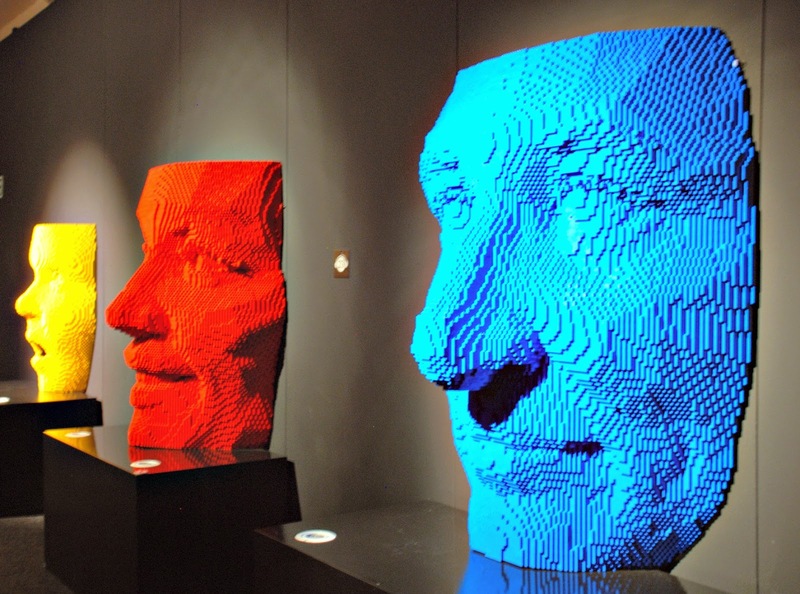 The artisit, Nathan Sawaya, has been exhibiting his Lego sculptures all around the world since 2007, and to date over a million people have been to see them. Yesterday afternoon lots of children were bustling around with cameras taking photos that would no doubt inspire a raft of work once they got home. Everything has been constructed from standard issue, go-buy-it-in-a-toy-shop Lego, so, in theory, there was nothing on display that those busy little people wouldn't have been able to produce at home. 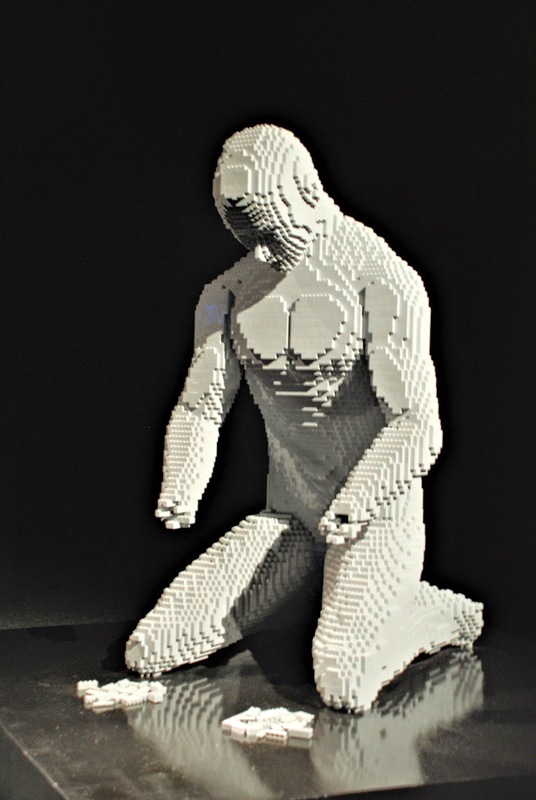 Sawaya, after working for a while as a corporate lawyer, decided that what he really wanted to do was go and explore the creative, artistic possibilities of the Lego brick. I loved the fact that he had used such a familiar, everyday toy to create his installations. It made the whole thing feel a bit cheeky and irreverent, almost as though he were sending up the art-world and its tendency to take itself too seriously. On the other hand some of the work on display felt quite serious. 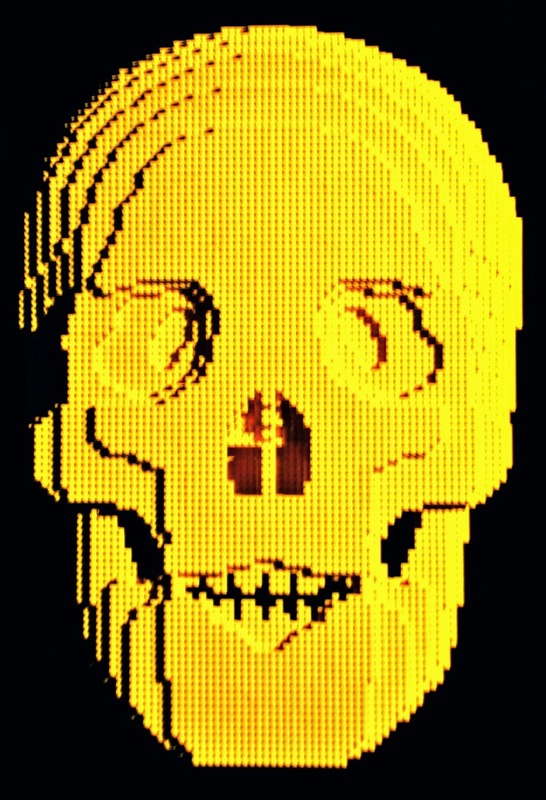 The yellow man above was captioned: Ever have those days when you've given so much of yourself that it feels like a hole has been left in you? 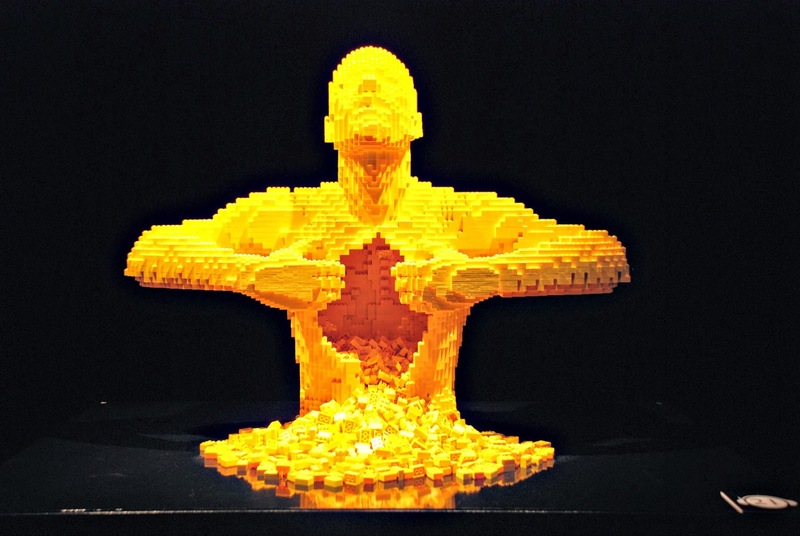 That message and his open torso felt a bit eery and surreal given how the sculpture was incongruously made out of cheerful yellow Lego bricks. It made me pause and think for a moment. These huge faces (below) were real show-stoppers. 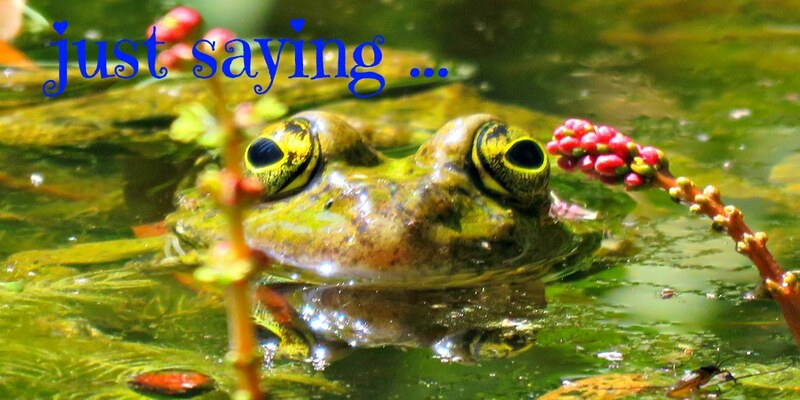 The detail of their features was almost hypnotic. The red one had the most amazing - and impossible to photograph - eyelashes. The blue face is a self portrait. One of my favourite installations was the swimmer. Using a clear perspex table and with some artfully positioned mirrors and discarded bricks for surf the illusion of someone moving through the water was complete. Emi was very impressed with the huge T-Rex, but I'm not sure that he's got the 80,000 beige bricks that he'll need if he want's to build one in the front room at home. 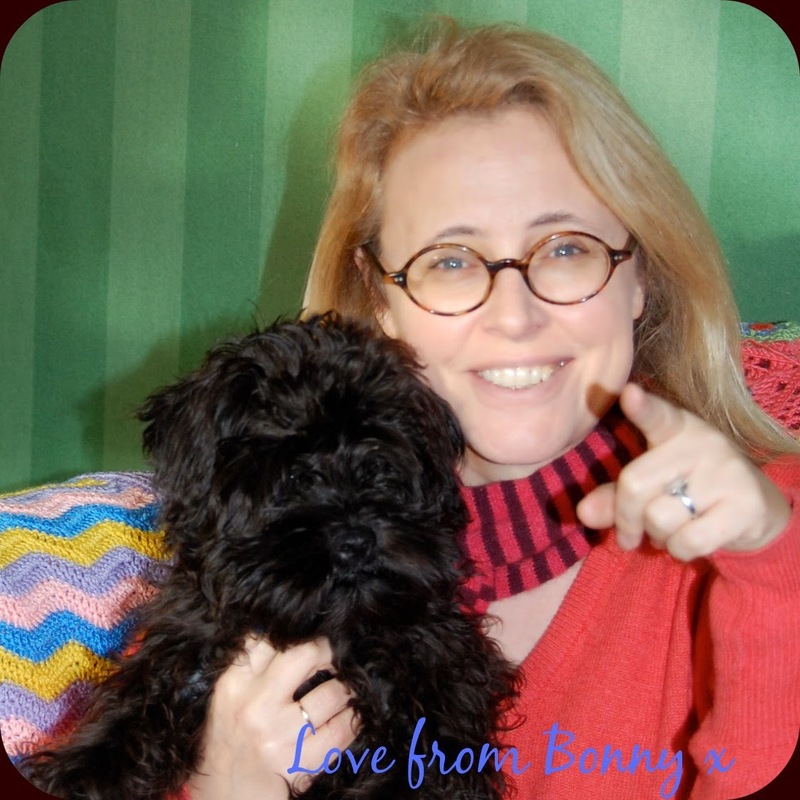 Mr. B liked the huge pencil that had written yes on the carpet; he likes to embrace the positive. 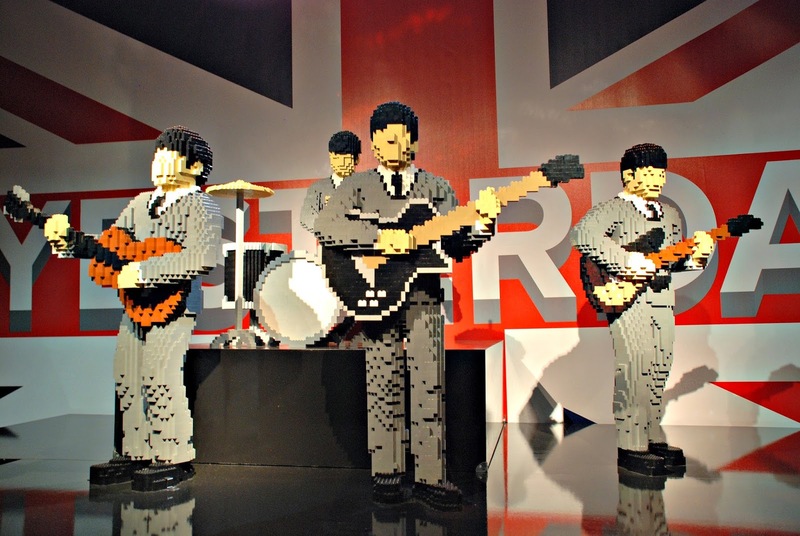 And then there were the Lego Beatles. There was also a Lego One Direction, but let's not go there ... . I enjoyed my whistle-stop tour of the art world. 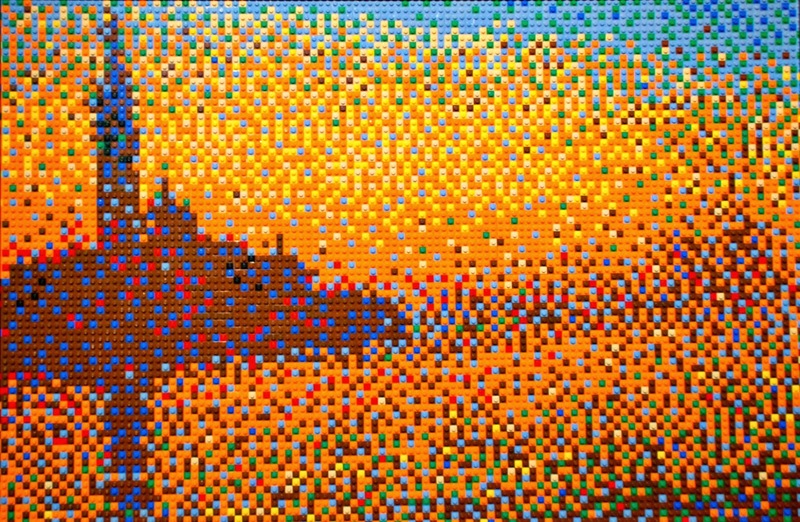 How do you like the Lego version of Monet's San Giorgio Maggoire at dusk? Or how about Van Gogh's starry night at Saint-Rémy-de-Provence? 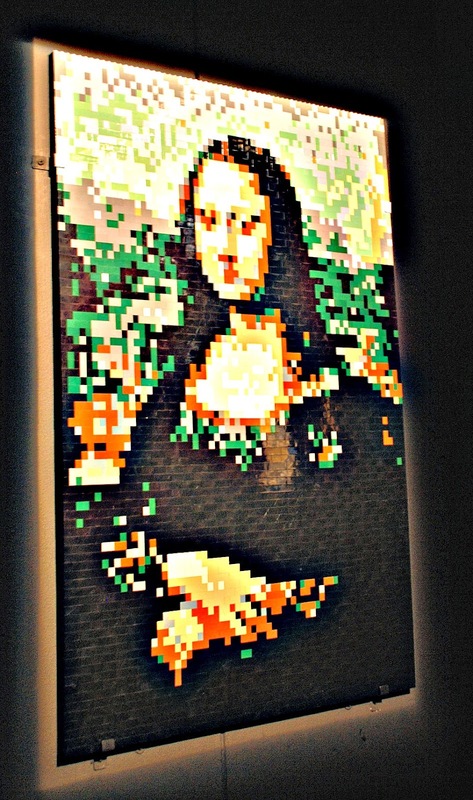 Maybe you'd prefer the Mona Lisa ... 'cos he's made her too. 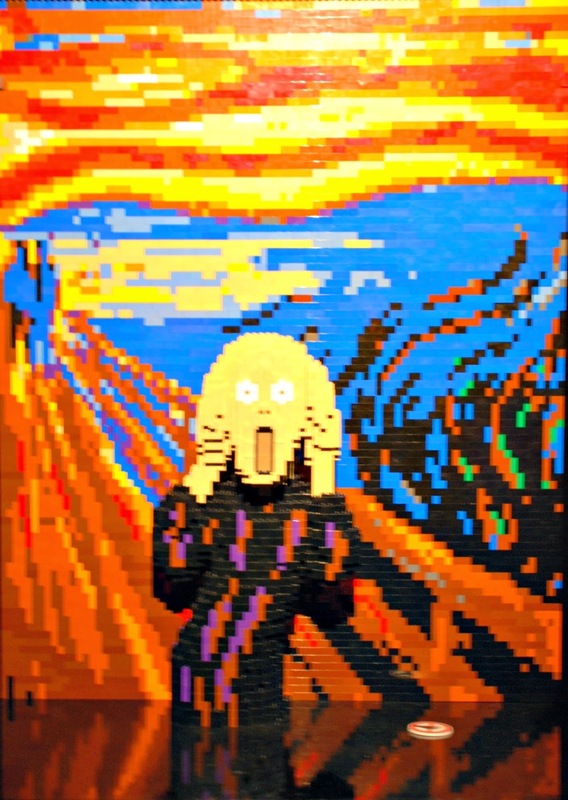 Personally I liked his rendition of Munch's Scream. I think it's better than the original! All three of us really enjoyed the exhibition. It's not specifically aimed at children, but lots of parents brought their little folk. My poor child gets dragged along to everything because I have some crazy idea that it'll help develop him into a rounded person. But I'm guessing that a lot of other normal people felt that, because the exhibition was made using their children's favourite toy, it was cool to bring them along. And for me that was just great. I could hear lots of mums and dads explaining patiently to their little ones that this was the Mona Lisa, who had a certain, lovely smile, and over here was a Van Gogh ... he cut his ear off, you know ... and so it went on. Lots of children were getting their first introduction to the art world, and it was through a medium that made everyone feel comfortable, and in some ways empowered the parents to go into explanations that they might not have felt able to speak aloud in the hushed and disapproving silence of a normal gallery. 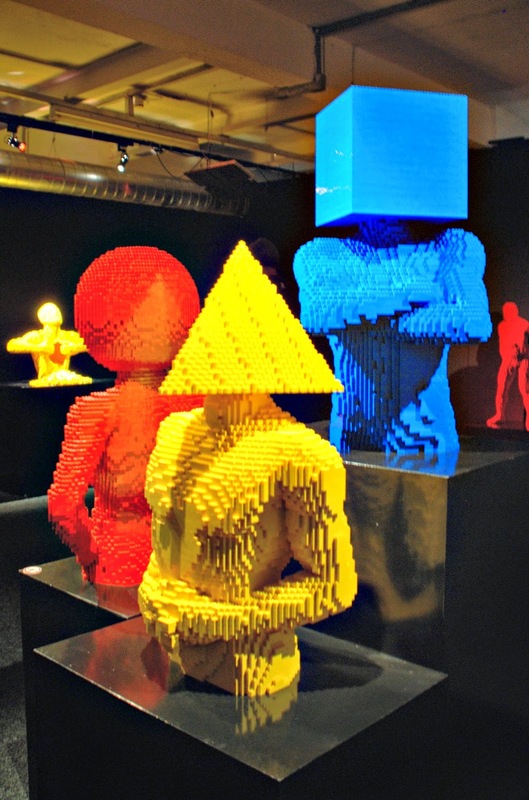 If you'd like to check it out you can find all the necessary details at the website: The Art of the Brick. 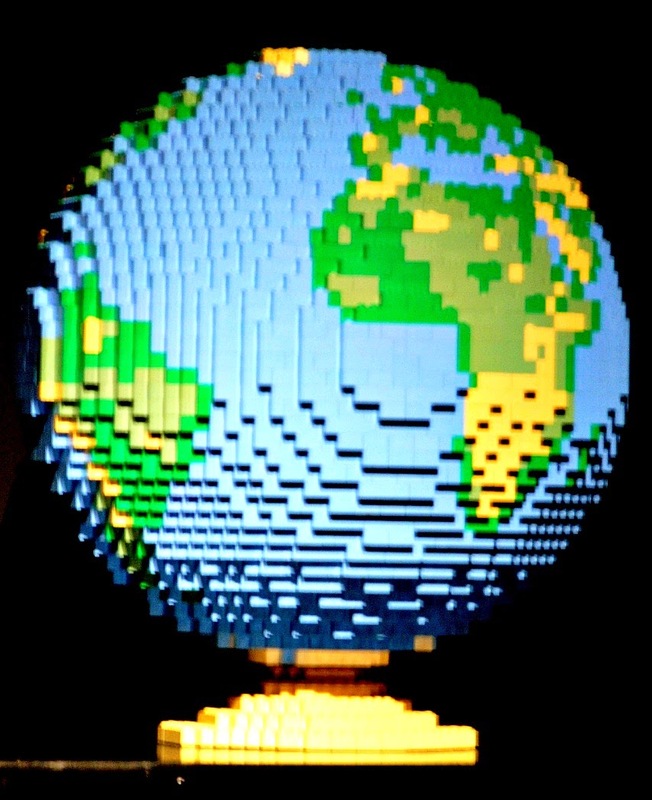 Thank you so much for the link and for all these great photos, both my hubby and I love Lego, and we'd LOVE to see this! :)) Too bad our nephew is too little to appreciate it, it does seem like the perfect place for a kid. Well that was fascinating. I would certainly tour this if given the opportunity and I know Coleen would love it too. What a lovely exhibition this is, it's amazing the things that they recreate. This is something that our entire family would enjoy so much. Your photos have inspired me to go and have a look. 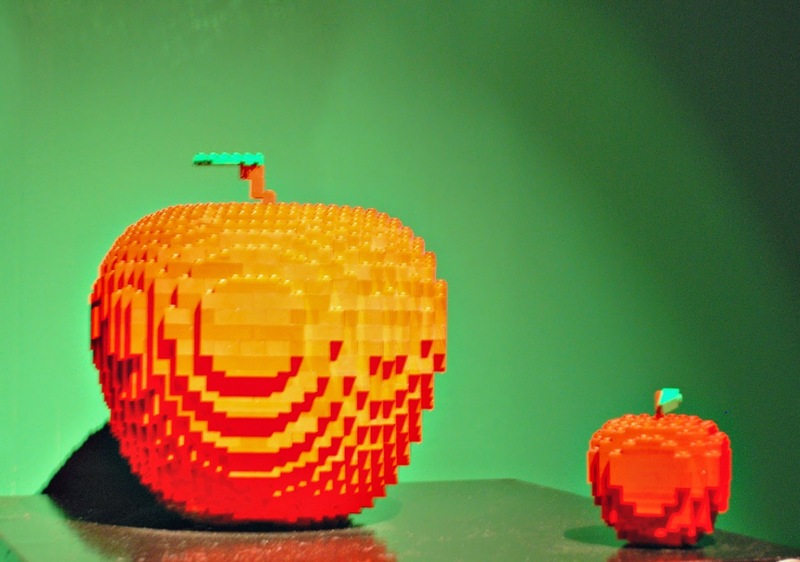 These are such amazing works of lego-art - so intricate and beautiful. Wow, super cool. Love it. I just love seeing the details in that. Thanks for sharing.